Being in a car accident can be a truly traumatic experience. 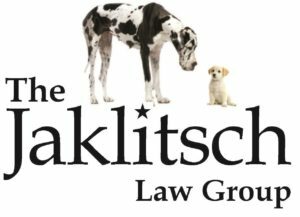 If you’ve been the victim of an accident in La Plata, MD, or, even worse, a hit and run, reach out to a skilled auto accident attorney from The Jaklitsch Law Group. A trustworthy car crash attorney from our firm can help you get the compensation you need after going through such a stressful ordeal. If you’ve gotten in a wreck with a semi-truck, you can rely on a truck accident lawyer to handle the tricky legal circumstances that surround these kinds of accidents. If the worst has happened and you lost a loved one in a car accident, rely on a wrongful death attorney to fight for your right to receive compensation for the pain and suffering your family has experienced. By working with a car accident attorney you can trust, you don’t have to deal with insurance companies on your own. We can stand by your side to make sure you don’t get steamrolled and so you reap the rewards you deserve. To learn more about how an experienced auto accident lawyer can help you through the difficult legal circumstances ahead, call us at (301) 627-8700.